Allyn E. Morris’s architectural condo structure at 1701 Clinton Street may trick you into believing a Mid-Century birthright — clean lines, panoramic windows, minimalist design — but it was built in 1978. 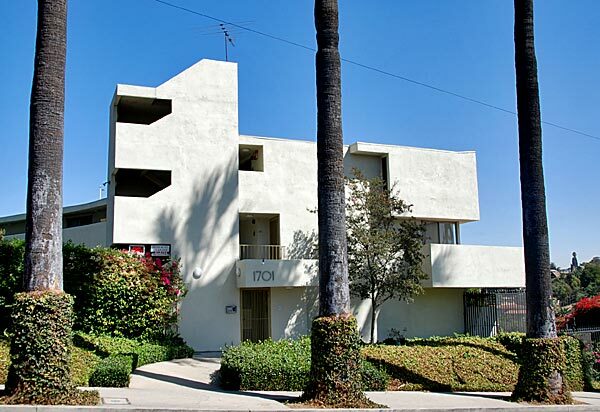 48 condo units are divided among 2 parallel structures, with amazing views of Echo Park Lake from 2 floor plans: a single level or the 2-story townhouse-style units. Unit # 512 was the architect’s own.